One daunting aspect of modelmaking is the painting of figure heads and portraits. 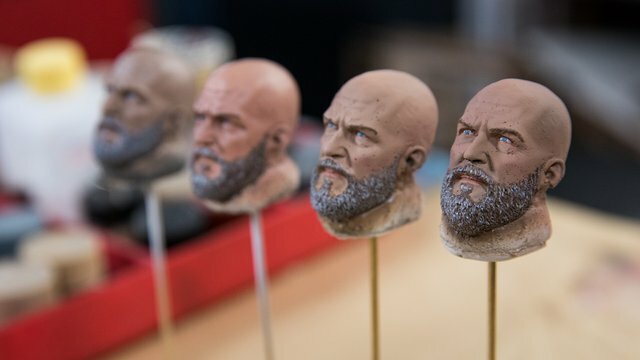 To get over our fear of ruining a sculpture, we mold and cast a batch of heads to work on. Kayte and Norm each take a sculpt and paint them in quick succession, learning from each practice attempt and refining their workflow.